If It's Too Loud...: Superchunk - "Erasure"
A new song from Superchunk is enough to get excited about. Now imagine if Superchunk brought in more indie rock royalty to help them out with the song. That is exactly what is happening with "Erasure," the new song from the Chapel Hill legends. Not only have they brought in Stephin Merritt (The Magnetic Fields, Future Bible Heroes), but they also have Waxahatchee's Katie Crutchfield, both supplying backing vocals. That in and of itself is beyond thrilling, but the song is also fantastic just on it's own. It's that brand of bouncy but just noisy enough indie pop rock that Superchunk pretty much invented. When you do something as brilliantly as Superchunk do this sound, why screw with a perfect formula? You can listen to "Erasure" below. 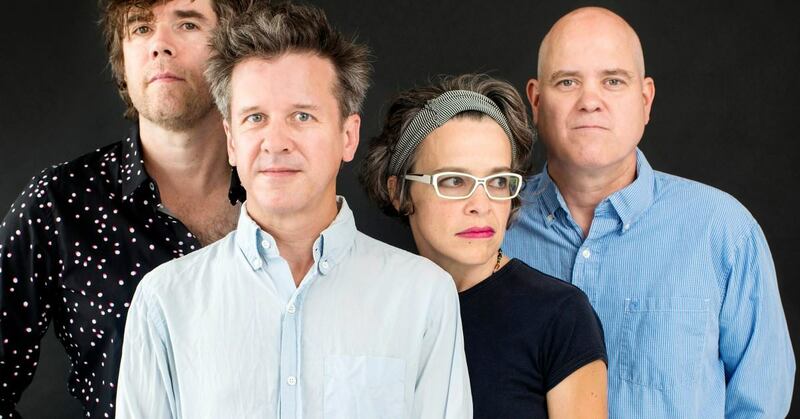 Superchunk's new album, What a Time to Be Alive, will be out February 16, obviously on Merge Records. It can be pre-ordered here. For more on Superchunk, check out their website.